36* Louis Althusser, The Spectre of Hegel: Early Writings, edited by François Matheron, trans. G.M. Goshgarian, Verso, London and New York, 1996. I enclose…a picture of the Dijon railwaymen which appeared in LʼHumanité… I hope that people, observing the calm strength and dignity of these men, will not one day say of us that ʻthe philosopher missed his rendezvous with the railwaymenʼ.Louis Althusser, letter to Jean Lacroix, 1949–50Reviewing the English translation of Althusserʼs ʻconfessionsʼ in these pages three years ago, David Macey noted that ʻ[t]he death of the philosopher has led to a resurrection of his writings.ʼ  In addition to LʼAvenir dure longtemps (1992), the ʻposthumous editionʼ at that stage contained a prison journal and a collection on psychoanalysis. Together with the ﬁrst instalment of Yann Moulier Boutangʼs comprehensive biography, these disclosed the existence of a hitherto unknown Althusser. Since then, a further six volumes have appeared; more are in preparation. If only because they exceed in quantity the material released during their authorʼs lifetime – a rough estimate indicates some three thousand pages as against approximately two thousand – it will take considerable critical effort to acquire an adequate perspective on them, and begin the reassessment of Althusser to which Macey alludes. Meanwhile, an Anglophone readership must await the halting, uneven process of partial translation. To date, a mere fraction of the new material has been made available in English: a careless version of the autobiography, The Future Lasts a Long Time, from Chatto & Windus in 1993; and an attractive selection from the Écrits sur la psychanalyse by Columbia University Press this year. To these can now be added Versoʼs excellent collection of the ʻearly writingsʼ,* extracted from the ﬁrst volume of the Écrits philosophiques et politiques published in France in 1994, and rounded off by a transitional text ʻOn Marxismʼ dating from 1953. Many of its virtues derive from the meticulous scholarship of the original editor, François Matheron, whose introductory materials offer invaluable guidance to the uninitiated. Others are attributable to Geoffrey Goshgarian, who has not only produced an admirable rendition of some intractable French, but appended bibliographical information well beyond the call of translational duty. Cavils aside, The Spectre of Hegel is the ﬁnest edition of Althusser in English. Like the young Marx under the German Confederation a century earlier, the young Althusser of the French Fourth Republic was immersed in the ideas of the age. Some of these were spawned by the ʻreturn to Hegelʼ most prominently associated with that self-professed ʻStalinist of strict observanceʼ, Alexandre Kojève, prompting Jacques Derrida to react to Francis Fukuyamaʼs re-edition of him by recalling that ʻeschatalogical themes … were, in the 50s, … our daily bread.ʼ  Althusserʼs postwar native philosophical language was that of French Hegelianism; his ideological orientation akin to what the ex-Communist Edgar Morin once dubbed ʻHegelo-Stalinismʼ. 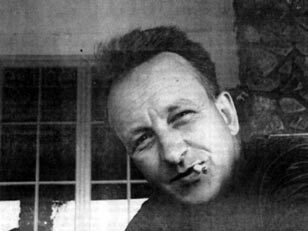 It is also apparent, however, that at the height of the Cold War, Althusser shared in the crude anti-Hegelian turn of Stalinist Marxism. Whilst it would seem to be the case that he never fully endorsed the impostures of Lysenkoism (the ʻtwo sciencesʼ, bourgeois and proletarian); and did not succumb to the ferruginous romance of ʻsocialist realismʼ (boy and girl meet Machine Tractor Station), he certainly did subscribe to the Zhdanovism – party partisanship in philosophy – against which later claims for the autonomy of theory were staked. To borrow the terms of his letter to Lacroix, the philosopherʼs ʻrendezvous with the railwaymenʼ proceeded under the sign of the Cold War in culture, at a time when, for example, the PCF was denouncing American ﬁlms as ʻpoison darts that corrupt the minds of French youthʼ, and Camel cigarettes for ʻwaging war on French tobaccoʼ. Whatever their intrinsic worth, Althusserʼs early writings are redolent of a conjuncture of combatant philosophy, evoked in the Introduction to For Marx in 1965, where the shade of Hegel is barely distinguishable from the spectre of Stalin. capitalist alienation is the birth of humanity. We need not force the terms unduly in order to identify the fecundity of this division with the Passion of Hegelian Spirit, which does not go forth from itself by chance, but in order to appropriate its true nature, and which, in this fall, attains the revelation of a depth realized by the totality. The proletarian discovers the truth of humanity in the depths of human misery. (p. 138) Peppered with references to Kojèveʼs Introduction to the Reading of Hegel, issued while Althusser was preparing his thesis, ʻOn Contentʼ is not a Kojèvian work. In a review of the volume – ʻMan, That Nightʼ – written concurrently, Althusser criticized its unilaterally anthropological interpretation, which valorized the subject at the expense of substance. The upshot was an ʻexistentialist Marxʼ – ʻa travesty in which Marxists will not recognize their ownʼ. Nevertheless, Kojève was to be applauded for ʻrestor[ing] part of Hegelʼs veritable grandeurʼ. The consecration followed: Hyppolite instated at the Sorbonne; Hegel recognized … as one of the masters of bourgeois thought; commentaries in the windows of all the book shops; the ʻlabour of the negativeʼ in every term paper; master and slave in every academic talk; the struggle of one consciousness against another in Jean Lacroix; our theologians discoursing on the ʻlesser Logicʼ; and all the to-do connected with the academic and religious jubilation over a reviving corpse. (p. 174) Althusser, who had been compiling what he termed Hégéliâneries (ʻHegelian inanitiesʼ) – the ʻHegelian “Robinsonade” of master and slaveʼ included – castigated the pervasive recourse to the philosophy of 39history or the state. It served the ideological needs of the ʻmoribund bourgeoisieʼ, which had renounced liberalism in this, the crisis-ridden imperialist stage of capitalism; in particular, it validated ʻthe projects of reaction in Franceʼ. Moreover, the Hegel revival tailored the revisions of Marx required to impugn Communism, seeking to discredit the ʻscience and … the events insep-arable from itʼ which portended ʻthe inevitable collapse of the bourgeoisie and the victory of the working classʼ. The question of Hegel had long since been resolved for the proletariat by the founders of ʻscientiﬁc socialismʼ, who had retrieved a revolutionary method from the reactionary system. By contrast, the bourgeois return amounted to ʻa revisionism of a fascist typeʼ. Reﬂecting on the immediate postwar period in For Marx, Althusser observed that ʻthe intellectuals of petty-bourgeois originʼ recruited by the PCF ʻfelt that they had to pay … the imaginary Debt they thought they had contracted by not being proletariansʼ. Even those, unlike Althusser, who had participated in the Resistance, were unquestionably made to feel it by an organization which, substituting itself for the class in whose name it spoke, abased ʻitsʼ intellectuals before la force tranquille of the proletariat – that is to say, itself. If for no other reason, Althusser necessarily missed his rendezvous. The Introduction to For Marx suggested that ʻ[i]n his own way, Sartre provides us with an honest witness to this baptism of historyʼ, adding: ʻwe were of his race as well.…ʼ Yet the ʻcommitted intellectualʼ, even when a fellow traveller, was of a rather different species from the ʻpartisan philosopherʼ. (In his Masterʼs thesis, Althusser had poked fun at Sartreanism: ʻonly the man who is uncommitted becomes the thinker of commitment, elevating commitment into a systemʼ.) Comparatively sheltered, more importantly, the former vocation was – and is – ʻdeeply ambivalent towards politics. Exclusion from power is its life-blood.ʼ  For worse and better, no such ambivalence attached to those who, seeking to escape the ʻintellectual conditionʼ, and contribute to the cause of human emancipation, submitted to the voluntary servitude of Communist Party discipline after the Second World War. As regards that baptism of history, The Spectre of Hegel provides us with an honest witness. It is the less surprising that when he (re)appeared on the public stage, forewarned and forearmed, Louis Althusser advanced masked. 1. ^ ʻThe Lonely Hour of the Final Analysisʼ, RP 67, Summer 1994, pp. 45–7, here p. 45. 2. ^ Writings on Psychoanalysis: Freud and Lacan, edited by Olivier Corpet and François Matheron, trans. Jeffrey Mehlman, Columbia University Press, New York, 1996. 3. ^ ʻThe “1844 Manuscripts” of Karl Marxʼ, in For Marx, trans. Ben Brewster, Verso, London and New York, 1990, pp. 153–60, here p. 160. 4. ^ As if in conscious contradiction of a saying of which Trotsky was fond: avant trente ans révolutionnaire, après canaille [before thirty, a revolutionary; thereafter, a scoundrel]. 5. ^ In particular, the exhortations of the Politburo member responsible for intellectuals, Laurent Casanova. Cf. Le Parti communiste, les intellectuels et la nation, Éditions Sociales, Paris, 1949, e.g. pp. 19, 80. 6. ^ Specters of Marx: The State of the Debt, the Work of Mourning, and the New International, trans. Peggy Kamuf, Routledge, New York and London, 1994, p. 14. Paris, 1970, p. 60. See chapter 2, pp. 27–62, ʻLa Vulgate ou lʼheure de Stalingradʼ. 8. ^ Quoted by Michael Rustin in his obituary, ʻErnest Gellner, 1925–1995ʼ, RP 76, March/April 1996, pp. 55–6, here p. 55. 9. ^ ʻOn Philosophyʼ, in A.A. Zhdanov, On Literature, Music and Philosophy, Lawrence & Wishart, London, 1950, pp. 76–112, here p. 102. 10. ^ See Jean-Yves Calvez, La Pensée de Karl Marx, Éditions du Seuil, Paris, 1956, Part V, chapter 2, ʻLʼÉglise catholique et le marxismeʼ, pp. 582–602 (especially pp. 590–91). And cf. Gilles Perrault, ʻLa germanophilie obstinée de Pie XIIʼ, Le Monde Diplomatique, January 1997, p. 2 (a review of Annie Lacroix-Riz, Le Vatican, lʼEurope et le Reich, de la première guerre mondiale à la guerre froide, Armand Colin, Paris, 1996). 11. ^ One aspect of this ʻreactionary reformismʼ – the new theology of marriage, generating ʻthe illusion of emancipationʼ for women (p. 239) – is mordantly analysed by Althusser in an unpublished text from 1951, ʻOn Conjugal Obscenityʼ. 12. ^ The fate, for example, of Pierre Sémard, Communist leader and secretary of the railway workersʼ union, shot by the Nazis on 7 March 1942. 13. ^ For Marx, p. 27. Cf. Morin, Autocritique, pp. 107ff, and Emmanuel Le Roy Ladurie, Paris-Montpellier. P.C.P.S.U., 1945–63 (Gallimard, Paris, 1982), p. 75, on an analogous sense of ʻoriginal sinʼ attendant upon privileged social origins. 14. ^ Peter Osborne, ʻPhilosophy and the Role of Intellectualsʼ, in P. Osborne, ed., A Critical Sense: Interviews with Intellectuals, Routledge, London and New York, 1996, p. xiv.